Dog bites are all too common an event for New Hampshire residents, and they can cause devastating harm. As an experienced Manchester lawyer and former registered nurse, M. Jeanne Trott helps injured children and adults receive full and fair compensation for their injuries. She understands the severity of the physical and emotional harm that a victim of a violent dog attack has endured and will aggressively pursue legal remedies against the dog owner and other responsible parties. New Hampshire’s dog bite law is a strict liability law. N.H. Rev. Stat. Ann § 466:19. This means that owners are automatically responsible for injuries caused by their dogs. The New Hampshire law differs from certain other states, where a dog is allowed “one free bite.” One exception to the law is if the injured person was trespassing or in the process of committing another tort at the time of the dog bite. Under a strict liability dog bite law, the victim does not need to prove that the owner failed to control the animal or did anything wrong in connection with the accident. Moreover, if the New Hampshire strict liability law does not apply to your particular situation, there are alternative legal theories on which to base your legal claim. If you are attacked by a dog as result of negligence by someone who is not the dog owner, this strict liability statute would not apply. Instead, you would bring a personal injury claim under a negligence theory. For example, if the landlord of your apartment complex is aware that a stranger’s vicious dog strays onto the common garden area of the complex but fails to do anything about it, and it results in an attack, he may be liable for failing to take proper precautions. Procedural issues, such as the statute of limitations, may limit a victim’s ability to bring a lawsuit after a dog bite. The statute of limitations in New Hampshire requires that a personal injury lawsuit be filed within three years from the date of the harm. Courts do not typically hear cases filed after the statute of limitations has tolled, or run out. 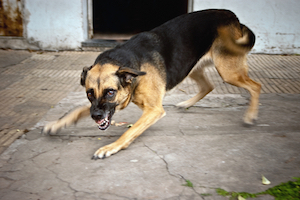 Victims of dog bites may recover damages for medical costs and the pain and suffering caused by the incident. It is important to maintain medical records dating back to immediately after the incident, since they may indicate the injuries that were a direct result of the attack. Many dog bites result in serious medical concerns, including amputation of limbs or even death. If the family of a dog bite victim brings a claim under the strict liability dog bite law, they may recover damages on behalf of a deceased family member. If you or a loved one has been hurt by a dog bite, we can help you pursue a claim. People injured in an animal attack or another preventable event, such as a car accident, can consult attorney M. Jeanne Trott. While New Hampshire law provides for strict liability for dog owners, every case is different. With over 25 years of experience, Ms. Trott understands how to explore the nuances of a situation. We serve clients throughout the state, including in Candia, Goffstown, and Nashua. Call our office today at (603) 624-7500 or use our online form to arrange a free consultation.